This is a scalable context timeline. It contains events related to the event Late September 1983: Nine White Supremacists Found Violent Guerrilla Group ‘The Order’. You can narrow or broaden the context of this timeline by adjusting the zoom level. The lower the scale, the more relevant the items on average will be, while the higher the scale, the less relevant the items, on average, will be. Robert Jay Mathews, a young conservative and resistance-movement organizer living in Phoenix, Arizona, is arrested for submitting fraudulent income tax returns. Mathews, who has read a recently published book, The Big Bluff by anti-tax protester Marvin Cooley (see 1970-1972) and served as sergeant-at arms for some of Cooley’s meetings in Phoenix, does not believe the US government has the right to compel him to pay taxes. Mathews uses Cooley’s income-tax theories to fraudulently list ten dependents on his W-4 tax form, a common protest tactic that backfires when tax assessors realize that a 20-year old unmarried man is unlikely to have so many dependents. Mathews is convicted of misdemeanor tax fraud; he is given six months’ probation and warned if he commits tax fraud again, he will be charged with felony tax evasion. (Southern Poverty Law Center 12/2001; McClary 12/6/2006; Anti-Defamation League 2011) Mathews will go on to found The Order, one of the most violent anti-government organizations in modern US history (see Late September 1983). He will die during a 1984 standoff with FBI agents (see December 8, 1984). Tax protester Ardie McBrearty founds the United States Taxpayers Union (USTU), an organization dedicated to abolishing the 16th Amendment (see 1951-1967 and 1970-1972), and also the Occupational Safety and Health Act (OSHA), consumer protection statutes, gun control laws, and other “unconstitutional” legislation. McBrearty, an avowed Christian Identity follower (see 1960s and After), will abandon tax protest in favor of armed white supremacist militancy, joining The Order (see Late September 1983 and August 1984 and After). He will eventually earn 40 years in prison for his role in The Order’s violent actions. (Southern Poverty Law Center 12/2001) In a 1982 lawsuit, McBrearty will argue that a 1977 agreement with UTSU mandated that the group should pay “all necessary personal and family obligations of said individual [and] all costs incurred in the defense of a client member.” McBrearty will be convicted for tax law violations in 1979 and will sue the UTSU shortly thereafter. The courts will dismiss the lawsuit because such an agreement “contravene[s] public policy and [i]s therefore unenforceable.” (OpenJurist 1/18/1982) It is unclear whether McBrearty’s loss of the lawsuit triggers his desire to join a more actively violent organization, such as The Order. 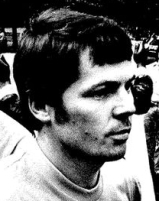 Young anti-government organizer Robert Jay Mathews, currently living on a rural property in Metaline Falls, Washington, joins the National Alliance, a white-supremacist group founded by author and activist William Pierce (see 1970-1974). Mathews is profoundly affected by Pierce’s book The Turner Diaries (see 1978) and other books, including Oswald Spengler’s The Decline of the West, Louis Beam’s Essays of a Klansman, and William Simpson’s Which Way Western Man? 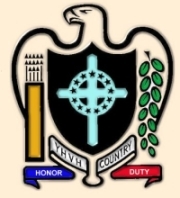 which tells of a plot by Jews to destroy “the White Christian race.” In early 1982, Mathews joins the Church of Jesus Christ Christian, located in the Aryan Nations compound in Hayden Lake, Idaho, and also joins the Aryan Nations. Both the church and the organization advocate the necessity of creating a “white homeland” in northern Idaho. Mathews then founds the White American Bastion, a splinter group designed to bring Christian families to the Northwest. (Kushner 2003, pp. 222; McClary 12/6/2006) Mathews will go on to found The Order, one of the most violent anti-government organizations in modern US history (see Late September 1983). He will die during a 1984 standoff with FBI agents (see December 8, 1984). Robert Jay Mathews, a white supremacist and activist (see 1980-1982), gives a speech at the National Alliance convention in Arlington, Virginia, reporting on his efforts to recruit farmers and ranchers into the “white racialist” movement (see 1969). Mathews receives the only standing ovation of the convention. He also renews his acquaintance with Thomas Martinez, a former Ku Klux Klansman from Philadelphia, and becomes close friends with him. (McClary 12/6/2006) Mathews will go on to found The Order, one of the most violent anti-government organizations in modern US history (see Late September 1983). He will die during a 1984 standoff with FBI agents (see December 8, 1984). Bruce Pierce, a member of the white supremacist guerrilla group The Order (see Late September 1983), is arrested in Yakima, Washington, for passing counterfeit $50 bills at a local mall. Pierce obtained his counterfeit bills from an operation coordinated with the Aryan Nations in western Idaho. Pierce is interviewed by a Secret Service agent, but refuses to give him any real information. 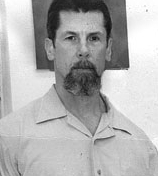 Order leader Robert Jay Mathews (see Late September 1983), worried that Pierce might talk to police or another prisoner, tries to finance Pierce’s bail by robbing a bank north of Seattle. Mathews escapes with over $26,000, but most of the money is ruined when an exploding dye pack stains the bills. Pierce eventually posts a $250 bond and is released. (McClary 12/6/2006) Pierce will later murder Denver radio host Alan Berg (see June 18, 1984 and After). Bruce Pierce, a member of the secretive white supremacist organization The Order (see Late September 1983), pleads guilty to passing counterfeit currency (see December 3-23, 1983). He believes he will receive a light sentence as this is his first criminal offense, but because he shows no remorse for his actions and refuses to divulge information about his connections to the Aryan Nations, he is sentenced to two years in federal prison. Instead of reporting to prison, Pierce holes up with Order leader Robert Jay Mathews and becomes a federal fugitive. (McClary 12/6/2006) Pierce will later murder Denver radio host Alan Berg (see June 18, 1984 and After). Two members of the white supremacist group The Order (see Late September 1983), Bruce Pierce and Richard Kemp, bomb the Congregation Ahavath Israel Synagogue in Boise, Idaho. They use the first bomb Pierce has assembled, and it does little damage. Order leader Robert Jay Mathews is angry over the bombing, not because he disapproves, but because he feels the bomb should have destroyed the building. (McClary 12/6/2006) Pierce will later murder Denver radio host Alan Berg (see June 18, 1984 and After). 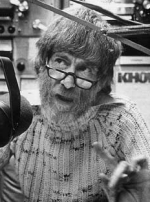 Robert Jay Mathews, the founder and leader of the secretive white-supremacist group The Order (see Late September 1983), has decided the group should murder Denver radio host Alan Berg. Berg, a Jewish liberal with a confrontational style, has frequently sparred with white supremacists and neo-Nazis on the air, and for this reason Mathews has decided he must die. Mathews sends Order member Jean Margaret Craig to Denver to observe Berg’s movements and determine if he is a viable target. Mathews decides that the “hit” on Berg will take place in June. (McClary 12/6/2006) Mathews and three Order members will kill Berg a month later (see June 18, 1984 and After). Preparing for the Murder - Order leader Robert Jay Mathews had already sent a colleague to Denver to determine if Berg was a viable target (see May 17, 1984). The four members of the assassination team—Mathews, Bruce Pierce, David Lane, and Richard Scutari—assemble at a local Motel 6 to review their plans. Pierce, the assassin, has brought a .45 caliber Ingram MAC-10 submachine gun for the job. All four men begin to surveill Berg’s townhouse. Chevie Kehoe. [Source: Eye on Hate (.com)]Cheyne Kehoe surrenders to federal authorities and tells them where his fugitive brother, Chevie Kehoe, is hiding. Both men were raised as members of the white separatist, overtly racist “Christian Identity” tradition (see 1960s and After) by their parents; the brothers’ father, a Vietnam veteran who hated the government, gave them their first training with weapons. Chevie Kehoe will later recall his father telling them, “If they’re not white then they don’t have the right to exist.” Chevie Kehoe became fascinated with the story of slain white supremacist Robert Jay Mathews, the founder of The Order (see Late September 1983 and December 8, 1984); he, his brother Cheyne, and a few friends formed a small supremacist group they called the Aryan People’s Republic. The Kehoe brothers became notorious in February 1997 after they had a shootout with Ohio Highway Patrol officers and escaped on foot; the videotape of the shootout became a sensation on the national news circuit. Both the Kehoes were suspected of torturing and murdering Arkansas gun dealer William Mueller, his wife Nancy, and his daughter Sarah, after Chevie Kehoe had robbed him in early 1996. The Kehoes spent some time hiding from authorities at the Oklahoma white supremacist compound of Elohim City (see 1973 and After), where at least one of them had received weapons training and the Kehoe family often lived for periods of time. Cheyne Kehoe is convicted of assault and attempted murder in the Ohio shootout, and receives 24 years in prison; Chevie Kehoe pleads guilty and receives 20 years. Chevie Kehoe and Daniel Lee, a member of the Kehoes’ Aryan People’s Republic, are later indicted for the Arkansas murder and a variety of charges based on their plots to attack federal officials; Kehoe will be sentenced to life in prison and Lee will be sentenced to death. (Anti-Defamation League 8/9/2002; Nicole Nichols 2003) Investigations later show that the Kehoe brothers had ties of some nature with Oklahoma City bomber Timothy McVeigh (see 8:35 a.m. - 9:02 a.m. April 19, 1995) and the Aryan Republican Army (ARA—see 1992 - 1995).